Just hours after an extensive report revealed a number of details about Samsung’s upcoming Galaxy S10 family, a new source has come forward with a few extra details about the devices. According to the information published earlier today, Samsung has three Galaxy S10 models in the works – two with curved edge panels and one with a flat display. These will reportedly include a “visible” front camera that is “tucked under the screen” and minimal bezels. This, according to the newest piece of information, will translate into a very impressive screen-to-body ratio of 93.4%. 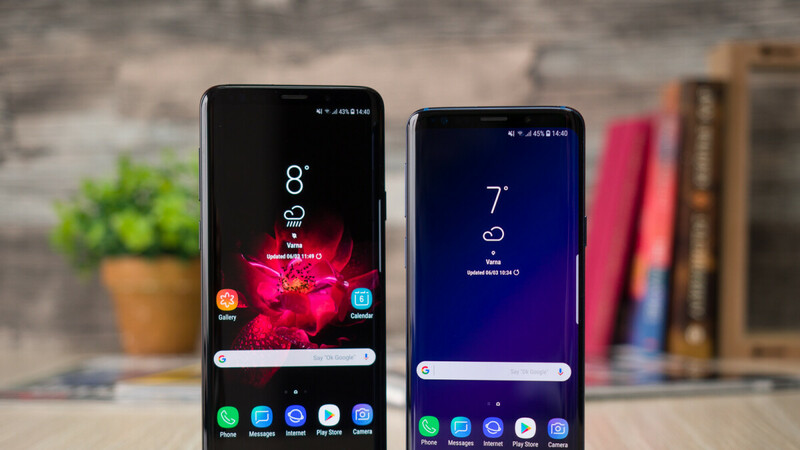 For reference, the current Galaxy S9 boasts a screen-to-body ratio of 83.6% and the Oppo Find X offers a 93.8% ratio. On the inside, Galaxy S10 users should expect either Qualcomm’s Snapdragon 8150 or the Exynos 9820, depending on the region. These will be more powerful than outgoing processors and more efficient, thanks to the new 7-nanometer process. However, from the looks of things, this increased efficiency will also be backed up by a significantly larger 4,000mAh in size – the Galaxy S9+ uses a 3,500mAh cell. While Samsung is yet to finalize all details about the Galaxy S10 line – the company will reportedly choose the final design by the end of November before announcing the smartphones in February – the new trio is expected to arrive in a total of six colors. These are black, grey, blue, red, green, and yellow. To be honest, I was very skeptical of all th fancy rumors coming true (regarding the under-display fingerprint reader, in display camera, screen to body ratio, etc) but it's truly looking like Samsung's about to blow all of our minds next year. If the Galaxy S10 looks anything like the Oppo Find X, I think it could be one of the best selling Galaxy phones of recent times. But will they still have a headphone jack? How much do curved edge displays fudge that ratio? The Oppo Find X also has curved edges. as much as the notch fudges the screen size. They will blow also by high prices. Putting 4000mah in a phone which last a day makes no sense. Make the phone replaceable battery then it will be 8000mah if you have an extra. Flagship phones with replaceable batteries are pretty much nonexistent at this point. Sadly that won't happen, replaceable batteries are a relic of the past. If the battery lasts all day what is the point of carrying a spare? Because some people use there phone so much their battery never last them a day. Especially iPhone users. The fact iPhones RIP through a battery with hardly any features, just baffles my mind. Waiting for Huawei to troll Samsung now. Still, it won’t sell of they price as much as apple’s current price. But if they price this for $749 just like Xr, then it will have a chance. The cheaper one will start at $749 but I think the S10+ will be the same price as the Note 9 started at. For now it looks like we have only Pixel 3 with front firing stereo speakers. Gonna have to go for an S10 mini unlocked...I'm almost certain that China will have one in-stock shortly after the unveiling. Phone from the future.. enough said!! So, they will have a chin. Stupid!